The wind is gusting and hats are necessary. And to top it off everyone in my house has a cold. And even with all of that, it was a wonderful week. A joyful one filled with family and friends. Wine, great food, laughter, and cozy sweaters make everything better. Even after a sleepless night. Winter's best feature is slightly over sized sweaters that you can curl up in, eat treats with abandon, and still look cute enough to run errands. I hope your weekend is cozy and filled with laughter too. Here are some options to get you started. I want them all. Seriously. 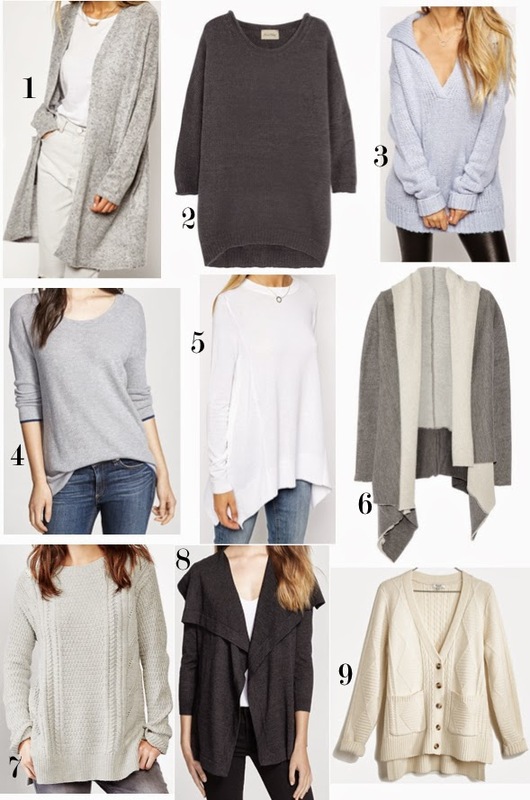 The above all paired with these (on sale) are pretty much my winter uniform.